There is an urgent need for qualified net control operators to assist with the response to Hurricane Isaac. Net Control Stations are needed starting at noon (CDT) today, Wednesday, August 29. NCS shifts are for 2-hour periods. Net Control Stations should have a General, Advanced or Amateur Extra class license, experience as an HF net control station, have a station capable of operation on 40 and 75 meters, and ideally be located in the ARRL’s Delta Division (Louisiana, Arkansas, Mississippi and Tennessee). Any qualified station willing to assist should contact Mike Corey via e-mail at <ki1u@arrl.org> or by phone at 860-594-0222. 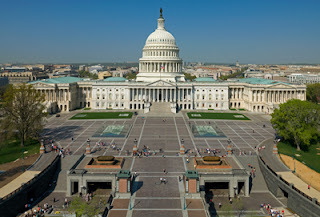 The FCC has told Congress that there is "no compelling reason" for it to revisit its previous decisions not to extend its limited pre-emption of restrictive state and local antenna laws to private land use regulations. These CC&R, or Covenants, Conditions and Restrictions, are imposed by developers and homeowners' associations on purchasers of homes in many areas. The report to Congress released on August 20 is the result of a study mandated earlier this year - with the ARRL's strong backing - of the value of amateur radio emergency communications and impediments (including CC&Rs) to effective amateur communications. The Commission said commenters disagreed over the impact of CC&Rs on amateur radio emergency capabilities and that "a review of the record does not indicate that amateur operators are unable to find homes that are not subject to such restrictions." The report also said the FCC does not believe Congressional action is necessary regarding CC&Rs or other impediments to amateur communication. Overall, the report was laudatory of amateur radio's ability to provide emergency communications and recommended that the Department of Homeland Security work with state, local and tribal authorities to improve training for hams and to better integrate amateur radio into existing emergency plans. However, it stopped short of supporting an ARRL recommendation for a federal credentialing system to permit trained amateurs to have easier access to disaster areas when traveling from other states to help provide communications support. On August 21, Ham Radio Outlet Vice President George Varvitsiotes, K6SV, became a Silent Key after a long battle with cancer. He was 58. George was an avid contester, a leader in the amateur radio industry and a key player in the success of HRO, where he had worked since 1976. 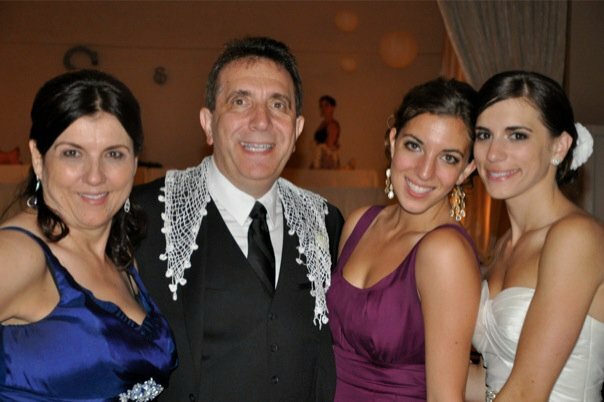 Donations in George's memory may be made to the Resurrection Greek Orthodox Church Memorial Account. The church's address is 20104 Center Street, Castro Valley, CA 94546. The ARRL will return to its roots for its centennial national convention. The League's board of directors voted in July to hold the organization's 2014 convention in Hartford, Connecticut, the city where it was founded in 1914 by Hiram Percy Maxim and Clarence Tuska. In the first major change to Field Day rules in a decade, the ARRL's board of directors voted at its July meeting to allow Class A and B Field Day stations to begin setting up as of 0000 UTC on the Friday before Field Day. Currently, setup may not begin until 1800 UTC on Friday. However, cumulative setup time may note exceed 24 hours. The ARRL Letter reported that the action came in response to concerns about extreme heat and weather conditions in many parts of the US in late June.The new rule takes effect with Field Day 2013. 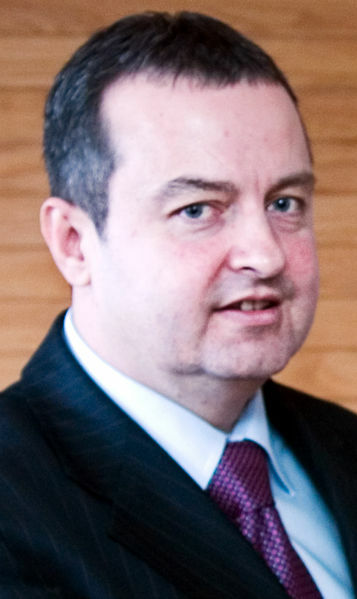 Ivica Dacic, YU1YU, is the new Prime Minister of Serbia. Dasic, who had been First Deputy Prime Minister and Minister of Internal Affairs, was elected to the government's top position in late July. 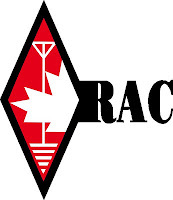 According to the ARRL Letter, Dasic has been an active supporter of amateur radio in his country and is a member of its national ham radio association, the Amateur Radio Union of Serbia. A South African media publication reports that the International Amateur Radio Union is throwing its support behind an effort by the European Broadcasting Union to manage a new top-level internet domain of ".radio." ScreenAfrica reports that IARU President Tim Ellam, VE6SH, wrote on behalf of the organization to the Internet Corporation for Assigned Names and Numbers (ICANN) that the EBU's proposal "provides a unique opportunity to standardize radio domain names on the Internet" and that the IARU recommends that the union's proposal be approved. A public comment period is open through September 26. The island nation of Niue has been assigned the E6 prefix block by the International Telecommunication Union. According to the ARRL Letter, Niue has been "in free association with New Zealand" - some 1700 miles away - since 1974 and until now has used the ZK2 prefix. 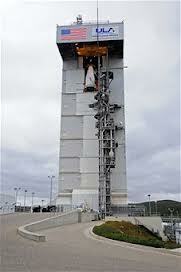 Range instrumentation problems at the Vandenberg Air Force Base space launch complex have delayed the planned August 2 launch of an Atlas 5 rocket carrying a classified payload for the National Reconnaissance Office as well as 11 cubesats from several universities and other federal agencies. Several of the cubesats will operate in the amateur radio bands. The <www.spaceflightnow.com> website announced the delay as well as a new target launch date of September 6. Check here on the CQ Newsroom for updates. The fee to apply for or renew an amateur radio vanity callsign will increased slightly as of September 4, rising by 80 cents from $14.20 to $15.00 for a ten-year license term. The FCC adjusts the fees annually as part of its budgeting process, and they have gone both up and down over the years. When a huge part of India's electric power grid failed at the end of July, cutting off power to 700 million people, hams in and around the affected areas were able to stay on the air and provide emergency communications. Newsline quotes India's National Coordinator for Disaster Communication, Jayu Bhide, VU2JAU, as saying all voice repeaters in the affected area - which included 20 of the nation's 28 states - stayed on the air using backup power. A week later, when monsoon rains caused massive flooding in and around the Philippine capital of Manila, hams in that country also responded. Newsline reports that members of the Philippine Amateur Radio Association's Ham Radio Emergency Operations group were active for three days, from August 6-9, running nets on 2 meters and 40 meters, in the wake of flooding from a 48-hour deluge. Authorities estimated it would take about a month to clean up all the damage from the storm. The Radio Amateurs of Canada has split its Ontario Section into four new sections, effective September 1. They are: Ontario North (ONN), Ontario East (ONE), Greater Toronto Area (GTA) and Ontario South (ONS). The ARRL Letter reports that the change was made for administrative purposes. The new regions will change the total number of possible sections for ARRL contests that use ARRL/RAC sections as multipliers (Sweepstakes and the ARRL 160-Meter Contest) or as part of the exchange (SS, 160 and Field Day). A "clean sweep" in the November Sweepstakes will now require 83 multipliers. Heathkit's highly-publicized efforts to return to the electronic kit business have failed. A local newspaper in Michigan reported in late July that the company had defaulted on its lease, declared bankruptcy and closed its doors. A bank was reportedly selling off some of the company's assets in online auctions. Once a major player in the amateur radio equipment market, Heathkit left the ham radio kit business in 1992. A new owner tried to revive its kit business in 2011 to replace business lost in the education market as financially-strapped school districts around the country cut back on purchases. However, he told the Herald-Palladium newspaper that the kit business couldn't grow quickly enough to keep the company afloat. The FCC has denied a petition by two hams to designate 146.55 MHz as a national emergency calling frequency, essentially saying their proposal was a solution in search of a problem. The Commission said the current flexibility in frequency use serves the amateur service well, and noted that the ham community - if it wished - could designate an emergency calling frequency through voluntary band planning without official FCC action. Mauna Loa may remain home to several ham radio beacons. 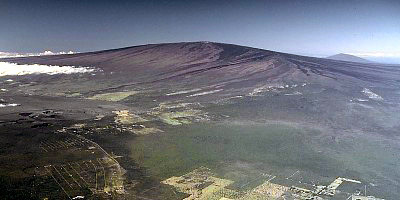 The VHF and UHF beacons on Hawaii's Mauna Loa volcano that alerted US West Coast hams to band openings may be able to stay on the air, despite the recent passing of their owner, Paul Lieb, KH6HME. Newsline reports that the beacons share space with Hawaii Public Radio and other amateur gear. It quotes the site manager as saying the beacons are welcome to stay as long as the ham club already operating at the mountainside location takes over their operation and maintenance. New advances in technology will allow HF radio transmitters operating on 13 MHz to be printed using electronic ink at a cost of about a penny apiece. That's a report from the BBC, as relayed by Newsline. The very low power transmitters are seen as possible replacements for QR (Quick Response) codes, those blocks of dots and squiggles that can take you to a company's website if you point your smartphone camera at them. Shouldn't take too long for hams to move them up from 13.560 MHz into the 20-meter amateur band! More details are available at <www.tinyurl.com/printed-transmitter>. 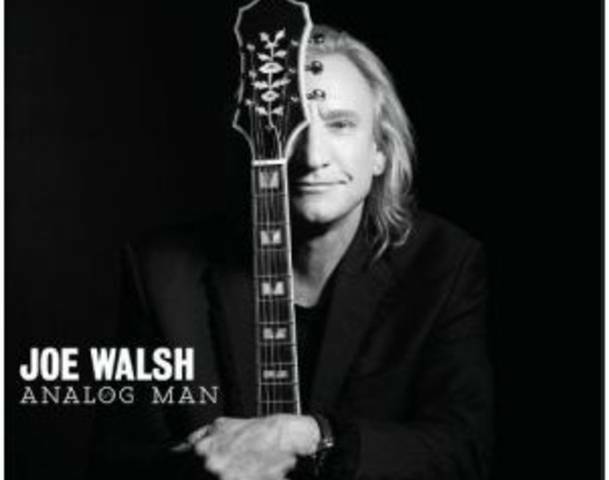 Is Joe Walsh running for Congress? The iconic guitarist for the Eagles, who also goes by WB6CAU, recently told a Washington, DC radio station that he's thinking about it. According to Newsline, Walsh said he thinks he can represent the concerns of real people better than politicians who live in a different world. We'll leave that determination to the voters when, if and where he decides to run. Frank Bauer, KA3HDO, is back at AMSAT as the amateur satellite organization's Vice President for Human Spaceflight Programs. Frank held down that volunteer position for many years before his work responsibilities at NASA forced him to step down in 2009. The AMSAT News Service reports that Bauer retired from the space agency last year and, now that a one-year period in which he was prohibited from working with his former colleagues has passed, he has returned to his volunteer role with AMSAT. He has been a key player in the growth and success of the Amateur Radio on the International Space Station (ARISS) program, as well as SAREX (Shuttle Amateur Radio Experiment) in the past. When the Curiosity rover drives around Mars, it reportedly will leave tracks of squares and rectangles on the red planet's surface. Officials at the Jet Propulsion Laboratory, which built the rover, say the patterns serve as odometer markers. But, reports Newsline, those small and large blocks look a lot like dots and dashes and indeed, spell out "JPL" in Morse code! 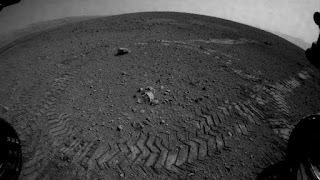 However, photos of Curiosity's first "test drive" don't seem to show anything except tire tracks. 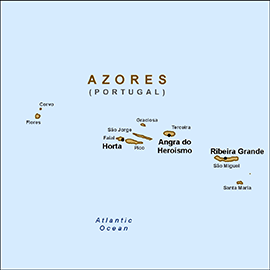 Hams from around Europe and North America will be taking part in the Azores 9 Islands Hunt at the end of September, activating stations on all nine of the chain's islands during a 24-hour period from 1200 UTC September 29 to 1200 UTC September 30. 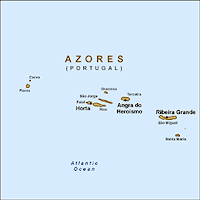 One of the operators, noted DXpeditioner Martti Laine, OH2BH, says there is an added incentive to get on and work those stations: Everyone contacting at least five different CU islands during the event will be entered into a lottery for a free trip to visit and operate from the Azores. Plus, there will be a second lottery (with a second trip as the prize) for the first 25 operators to contact all nine CU islands. Details are available online at <http://azores-islands-hunt.com/>. 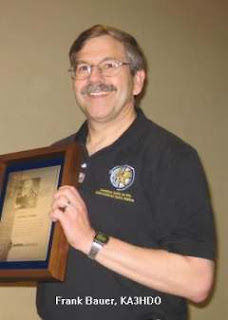 Joel Kleinman, N1BKE, Managing Editor of QST magazine, died in a fire at his Connecticut home on Saturday, August 18, according to the ARRL and news reports. His wife, Jayne, was rescued from the fire and is hospitalized. Neither the cause of the fire, the extent of Jayne's injuries, nor the specific cause of Joel's death are certain at this time. Condolences may be sent c/o ARRL Headquarters, 225 Main St., Newington, CT 06111. 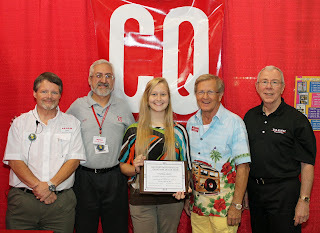 All of us at CQ extend our condolences to the Kleinman family and to the ARRL family as well. Updated and corrected SSB results for the 2011 CQ World Wide DX Contest have now been posted on the CQ magazine website. They may be accessed from the CQ home page (under current issue highlights), from the highlights page for the August issue and from the CQWW DX Contest page. The update resulted from the discovery of a programming error after the results went to press. Only one SSB certificate and one CW certificate (out of approximately 2600 awarded) were affected by the error, and with the new, corrected, results, all affected stations' scores went up, not down. Corrected CW results will be posted to the CQ website around September 1, coinciding with release of the digital edition of the September issue of CQ. Subscribers to CQ's digital edition will have the corrected results in the September digital issue. (Hicksville, NY, August 9, 2012) -- A glitch in the software used to analyze logs submitted for the CQ World Wide DX Contest has resulted in errors in final scores for some participants in the 2011 CQWW DX SSB and CW competitions. These errors were discovered after the results of both competitions were sent to the printer, so some results published in the August and September issues of CQ will be incorrect. However, only one SSB certificate (out of approximately 1300) was affected by the error, and with the new, corrected, results, all affected stations' scores went up, not down. CW results were still being worked on as this is written, but a similarly small impact is expected. According to the CQWW Contest Committee, "approximately one QSO in a thousand was marked as a bad call in error. This occurred when two similar calls, for example W1GD and W1GQ, were logged within three minutes of each other and only one of the stations submitted a log." The problem came about as part of a recent software upgrade, so no previous CQ contests are affected. It has now been fixed, so future contests also should not be affected. Corrected scores for the SSB weekend will be posted on the CQ website as soon as possible. Corrected scores for the CW weekend will be planned to coincide with the release of the September digital edition, on or around September 1, 2012. We will make additional announcements when the corrected results have been posted online. CQ regrets any inconvenience resulting from these errors. (Hicksville, NY August 1, 2012) -- CQ magazine will embark on a major reorganization of its editorial content in order to publish contest results significantly sooner, Editor Rich Moseson, W2VU, announced today. On average, contest results will appear four months sooner than at present. The new schedule will be phased in over the course of 2013 and will be fully in place by 2014. "The phase-in is necessary because of new and old dates overlapping," Moseson explained, "as well as scheduling needs for non-contest articles including our special focus issues and Dayton new product reports. As a result, some contest results will be temporarily relocated in 2013 and some specials will be rearranged as well. "In addition, there will be two sets of CQ WPX Contest results published in 2013 -- the 2012 scores in January (SSB) and February (CW), followed by the 2013 results in September (SSB) and November (CW). The CQ World Wide DX Contest results, which currently appear in the August (SSB) and September (CW) issues, will be published as of 2013 in the April and May issues, respectively. For one year only (2013), the CQ World Wide VHF Contest results will be published in CQ VHF magazine, and will return to CQ as of 2014, appearing in the January issue." This schedule change has been made possible by the fact that the vast majority of contest entrants submit their logs online, as well as advancements in technology for log-checking, earlier log submission deadlines announced last month and advances in publishing technology. "For years, both participants and contest directors have been asking us to publish the results sooner," Moseson explained, "and at last, all of the pieces have fallen into place to make it possible. The new schedule represents the minimum amount of time needed to not only collect and process the logs, but to resolve issues with problem logs and take the necessary steps to assure the ongoing integrity of our contest results." A complete calendar of contest results issues for 2013 and 2014 will be posted on the CQ website at <www.cq-amateur-radio.com>.